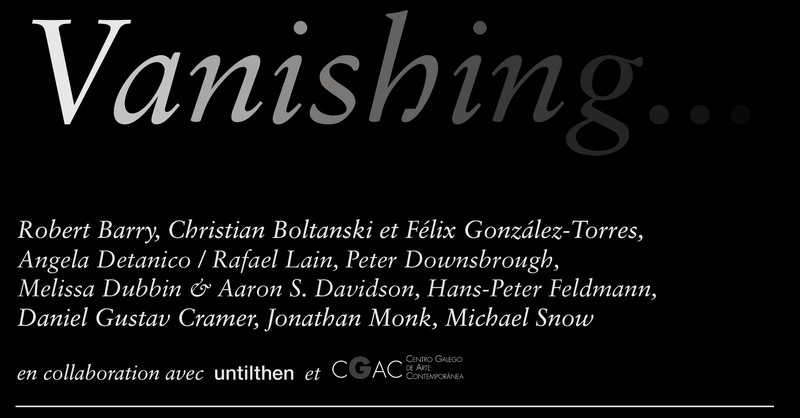 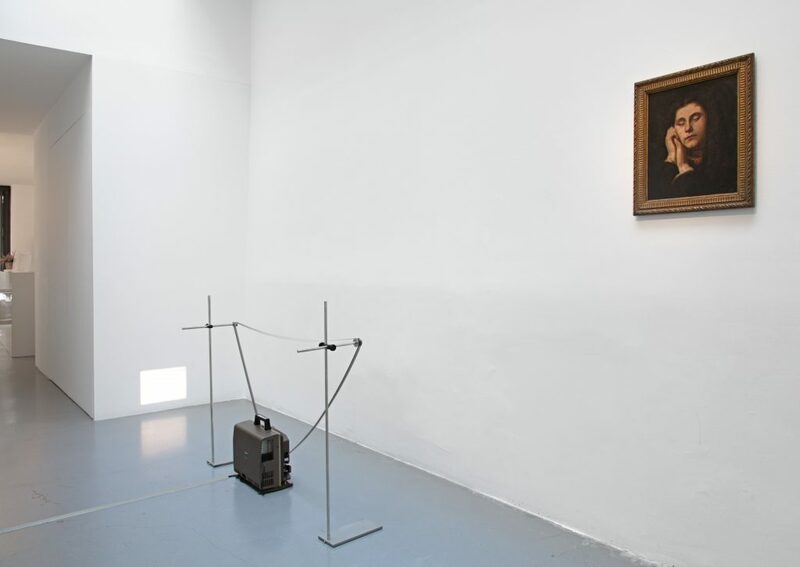 d’Art Contemporain (CGAC) de Santiago de Compostela. 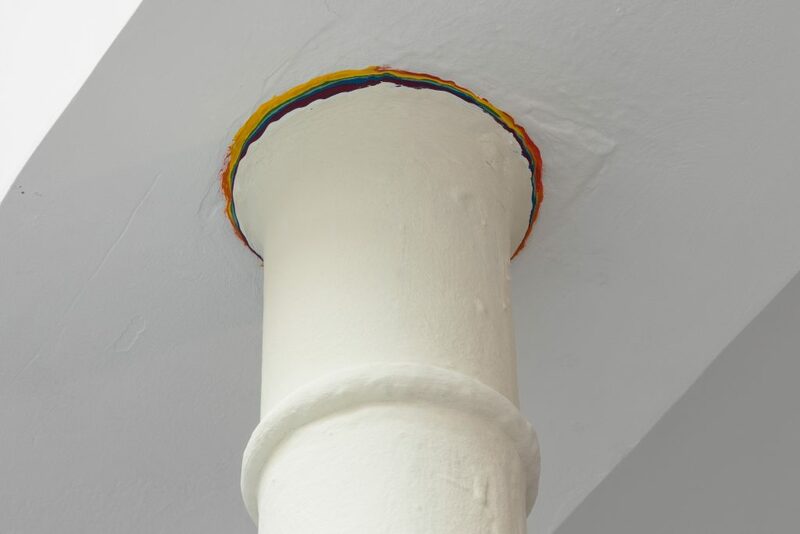 frontières d’entre ce qui est et ce qui n’est (peut-être) plus. 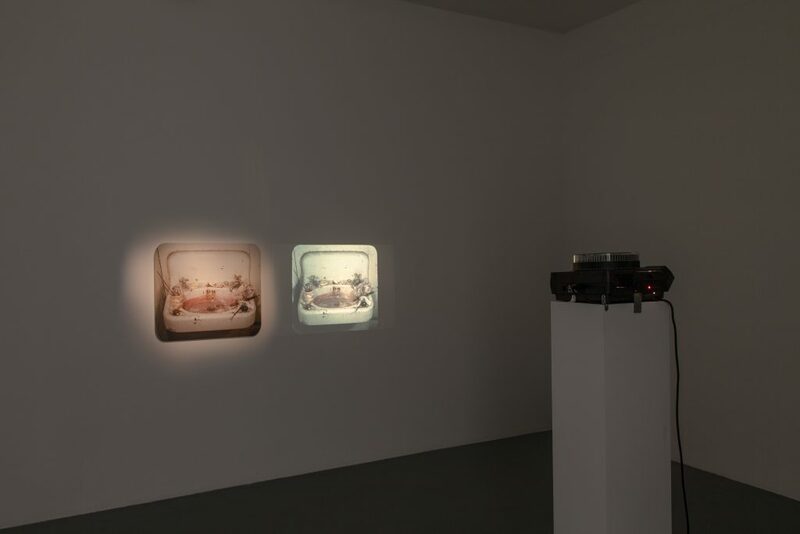 Jonathan Monk (left) Hans-Peter Feldmann (right) Signature Piece, 2003, 16mm film, Duration: 30 seconds in loop, Unique work – Woman with Closed Eyes, Painting on canvas, framed, 54 x 45,5 cm. 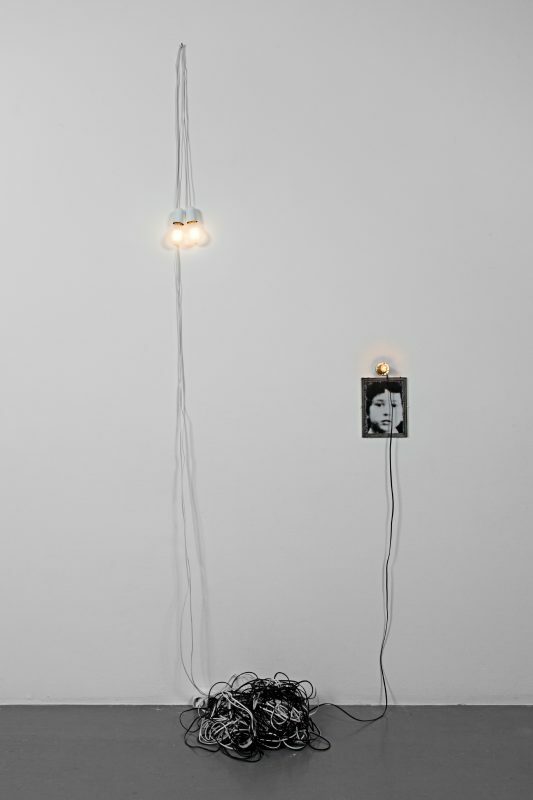 Christian Boltanski & Félix Gonzáles-Torres Untitled, 1995, Mixed Media, Dimensions variable, Unique work, Collection CGAC, Santiago de Compostela. 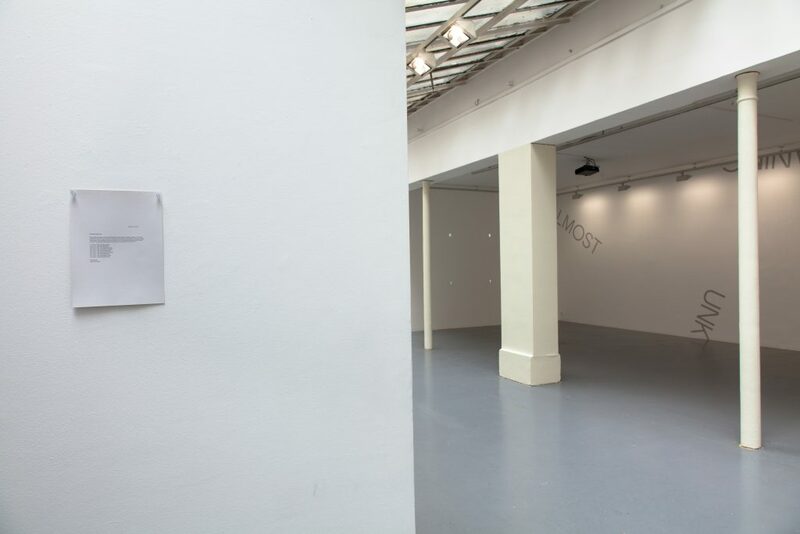 Daniel Gustav Cramer Rainbow, 2016, Installation, Dimensions variable, Open edition with personalized letter. 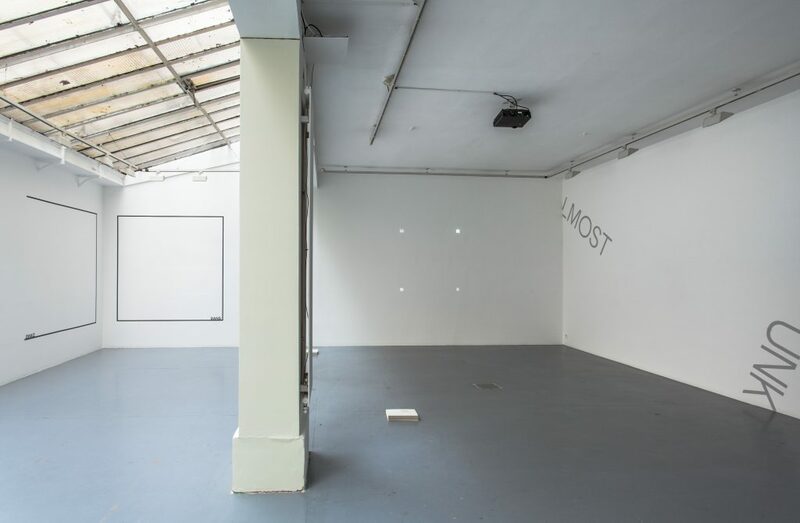 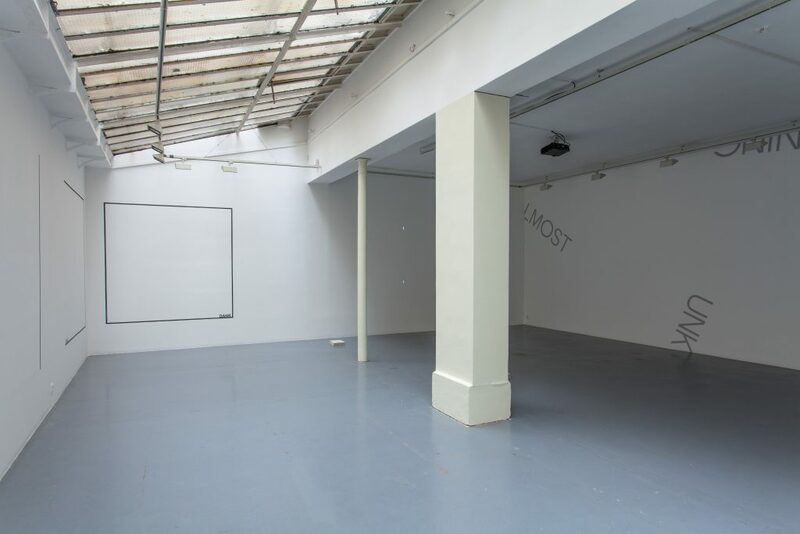 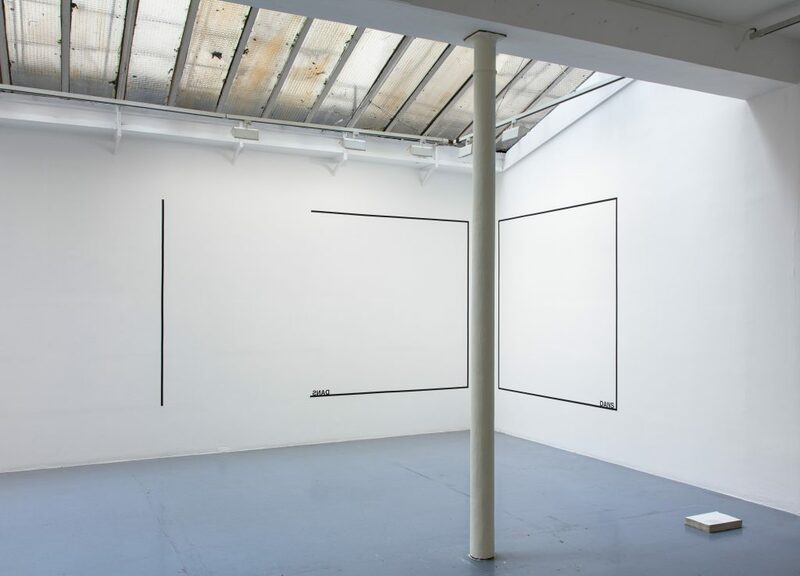 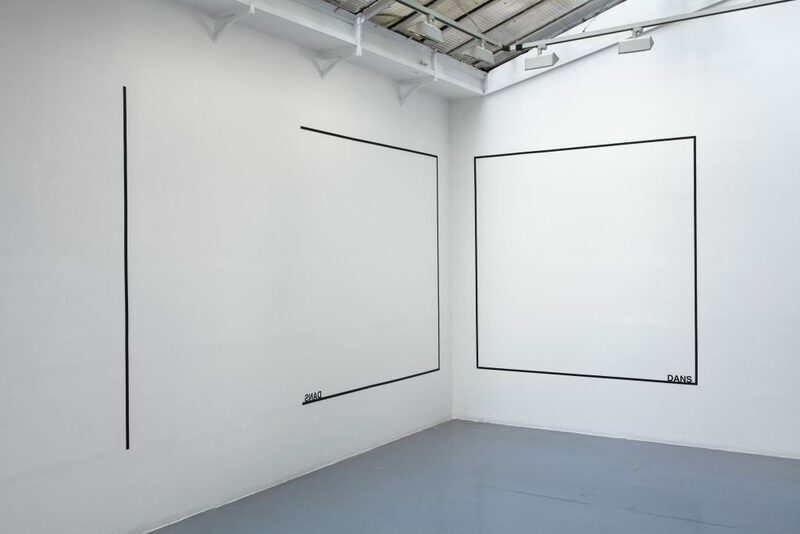 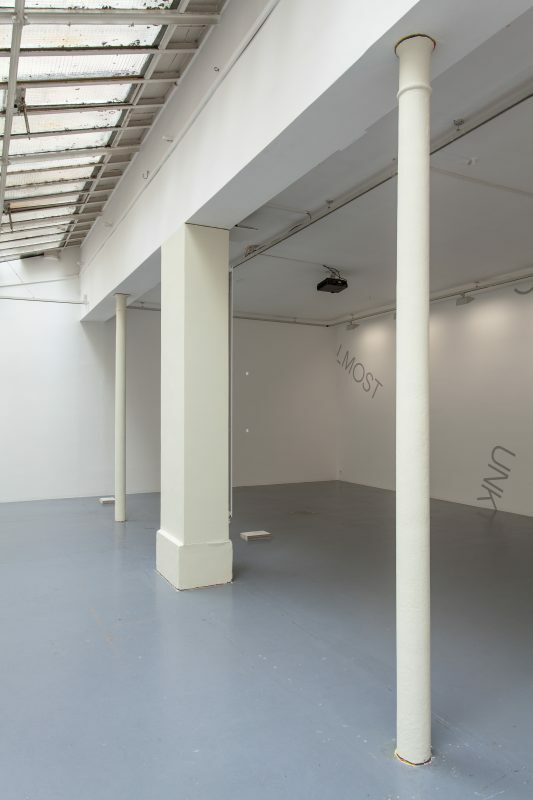 Peter Downsbrough DANS, 2017, Wall piece, Black tape and adhesive letters, Dimensions variable, Unique work. 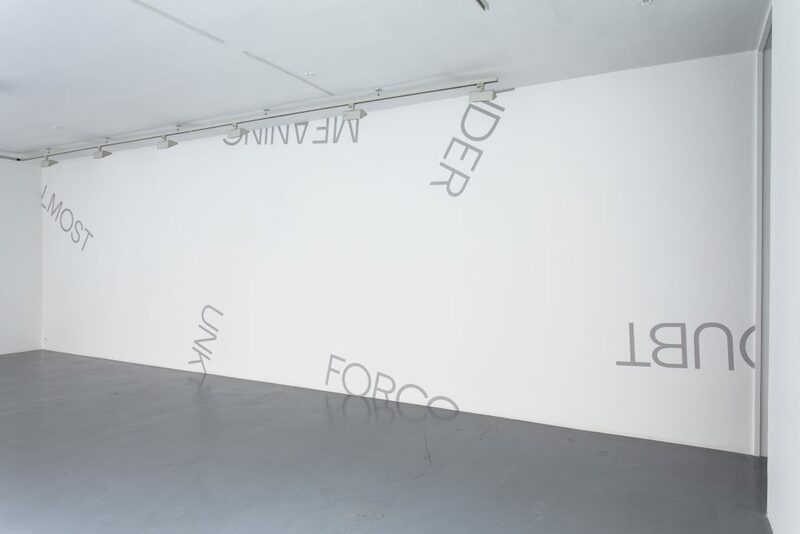 Robert Barry Wall Piece, 2017, Light grey adhesive letters, Dimensions variable, Unique work. 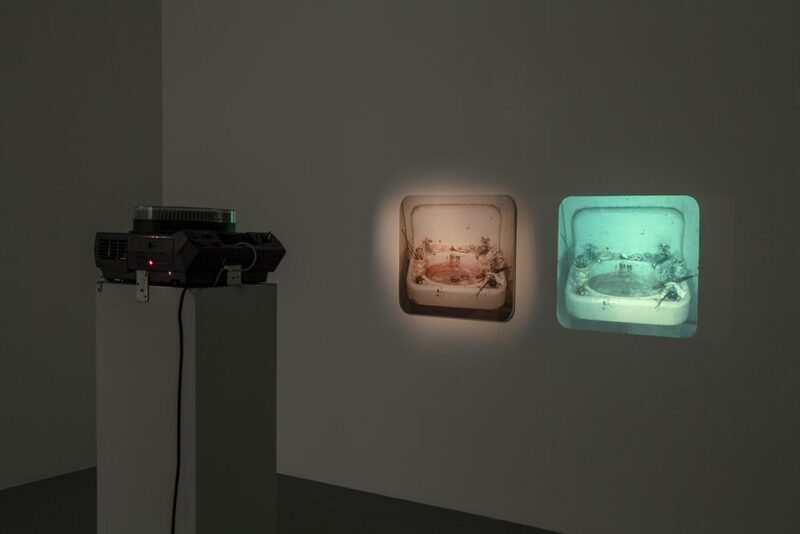 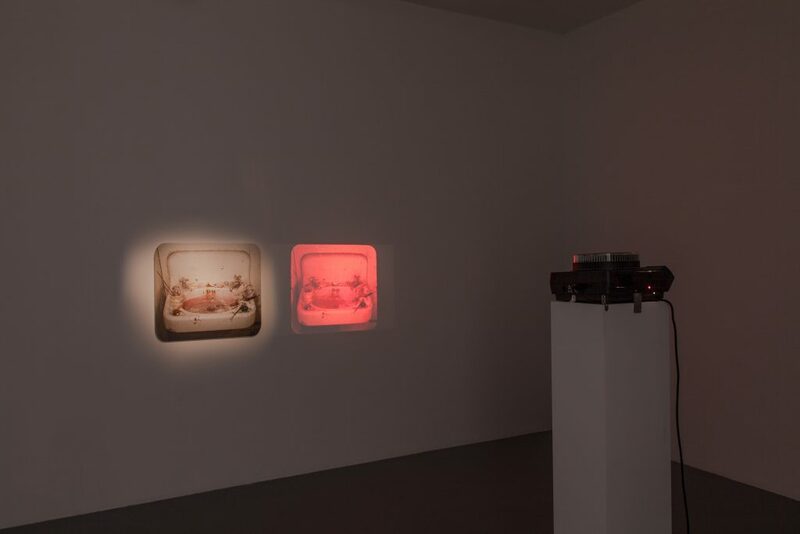 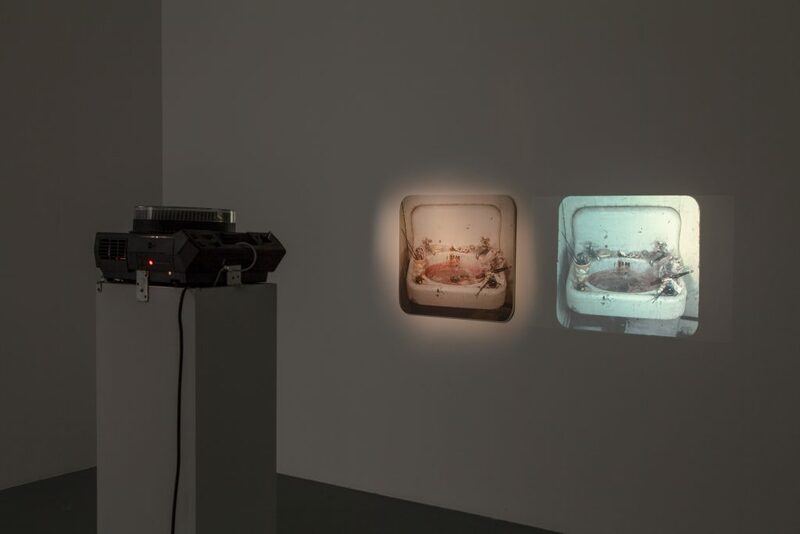 Michael Snow Sink, 1970, 80 35mm color slides + color photo, 122 x 64 cm overall, AP 1/1 (edition of 2).